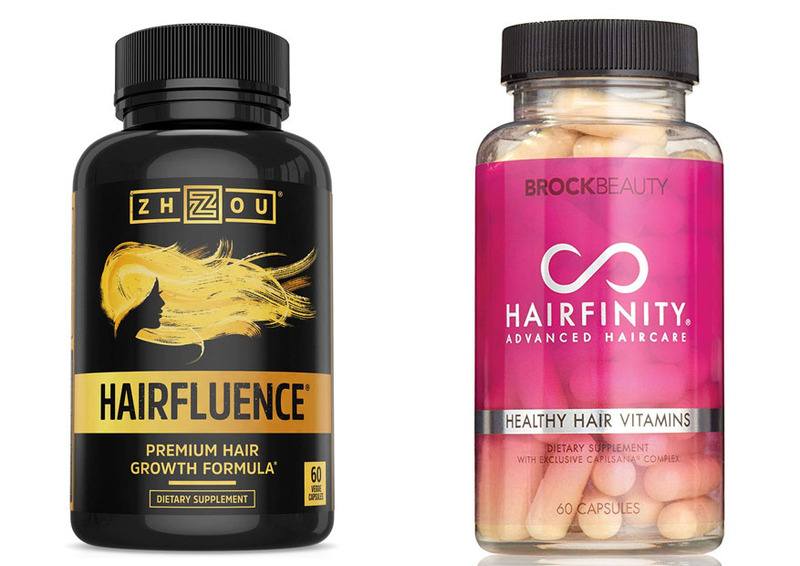 Hairfluence and Hairfinity are two of the most popular dietary supplements for hair growth in the market right now. 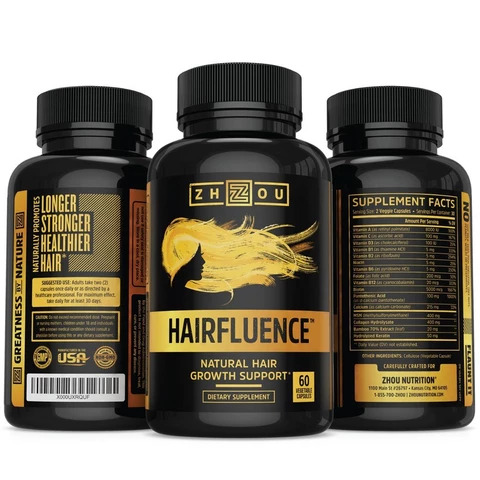 These supplements claim to be able to help you grow strong and healthy hair. So, are they truly effective? Below, we will see the comparison between Hairfluence Vs Hairfinity to help you choose the best hair supplement. When choosing a hair treatment product, you often need to make sure that the product is actually suitable for your particular hair type. Some supplements are designed for specific types of user. However, both Hairfluence and Hairfinity are suitable for all hair types. See also: Xenadrine Vs Hydroxycut. Regardless of whether you have straight hair or curly hair, Hairfluence and Hairfinity claim to be able to help you grow stronger and healthier hair. They are also suitable for people with chemically treated hair. These supplements work by providing nutrients that are essential for building hair fibers and for hair follicle health. Hairfluence and Hairfinity are recommended for people experiencing hair fall or hair loss. These supplements can promote hair growth. They are also recommended for people with weak or brittle hair and people with dry hair, as their nutritious elements can improve the hair quality. When comparing Hairfluence vs Hairfinity, perhaps one thing that people often overlook is the capsule size. Most adults are fine with large capsules. But there are some people who can’t swallow large capsules. It will be very inconvenient if your supplement is difficult to take. Hairfluence is actually an excellent product, but the large capsule size may present a problem to some people. It is not recommended for people who can’t swallow large capsules. The fact that you need to take two capsules for one serving doesn’t help. Nevertheless, you can open the capsule and pour the powder content onto a spoon, then mix it with some water to take it. Hairfinity also requires you to take two capsules for one serving. The capsule size is actually also large. But the rounded shape makes it a bit easier to swallow. Alternatively, you can also open the capsule and put the powder content with some water on a spoon to take it. Next, let’s compare the ingredient of Hairfluence vs Hairfinity. For sure, both of these products use high-quality ingredients. However, they use different ingredients, and they emphasize on different things. Hairfluence boasts that it is made from all-natural non-GMO ingredients. So, there is no artificial chemical that may harm your body. The natural non-GMO ingredients should be easy to digest. The ingredients include 50mg hydrolyzed keratin, 20mg bamboo leaf 70% extract, 400mg collagen hydrolysate, 400mg MSM, L-leucine, and cellulose for the vegetable capsule. It is soy-free and gluten-free. Hairfinity comes with the Capilsana Complex Proprietary Blend. Because this is a proprietary blend, we can’t really know the exact amounts of the ingredients. However, the label does state that each serving provides 970mg of the proprietary blend. The proprietary blend of Hairfinity contains several natural ingredients. There are MSM, hydrolyzed collagen (which provides essential amino acids), and whole-herb horsetail (which provides silica). This product is gluten-free, but it is not soy-free. Although the label does not mention any soy ingredient, some users have reported that they got soy allergy reactions after consuming this product. The most important thing about a hair supplement is the nutrition. Many hair loss cases are caused by insufficient nutrition and stress, so taking such supplements can help. Both Hairfluence and Hairfinity provide good nutrients, but there are notable differences. Biotin is a vitamin-like substance that is known to be responsible for hair health and nail health. Taking a biotin supplement can help to promote hair growth and improve the strength, thickness, and volume of your hair. Hairfluence is very good because it provides 5000mcg of biotin per serving. Meanwhile, Hairfinity only provides half of the value, which is 2500mcg biotin per serving. Furthermore, Hairfluence claims that its biotin formula is more effective than other products because it doesn’t rely on biotin alone. It combines biotin with other nutrients, such as vitamin A, vitamin C, vitamin D3, vitamin Bs, niacin, folate, pantothenic acid, and calcium, which can also help to improve hair health. Actually, Hairfinity also comes with other vitamins, such as vitamin A, vitamin C, vitamin Bs, vitamin D3, pantothenic acid, folic acid, and calcium. The amounts are similar to Hairfluence. 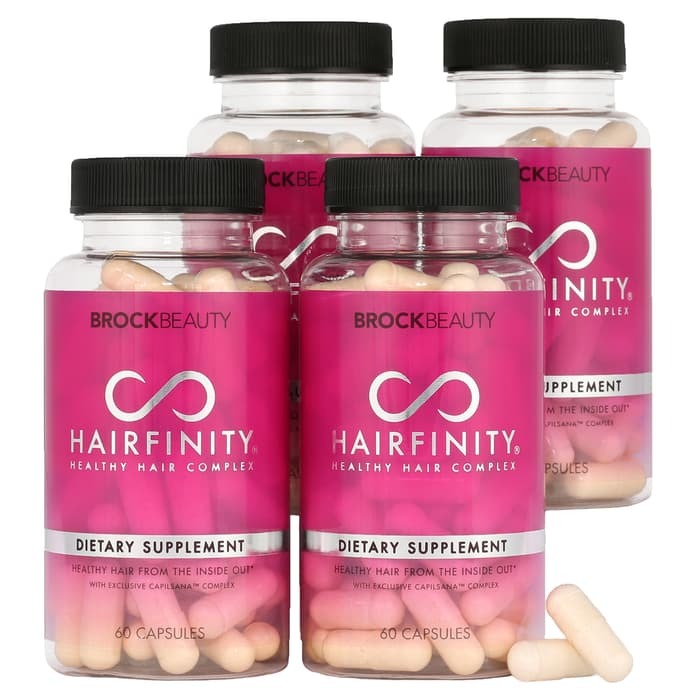 However, Hairfinity is still not as potent as Hairfluence due to the lower biotin content. Hairfluence may cause some side effects. Some people may experience acne breakouts at the first time taking the supplement. This is because of the sudden increase of biotin intake. In order to reduce or avoid the acne breakouts, you should drink more water. Usually, Hairfluence does not cause any allergy reaction. However, it may cause headaches, stomach upsets, and weight gain on some people. This is apparently because of the high levels of vitamins, and the stomach needs to adjust to the sudden change in your dietary habit. Hairfinity may also cause similar side effects, but the intensity is somewhat lower because the biotin content isn’t as high. But note that Hairfinity may cause allergy reactions on some people. If you have soy allergy, you should avoid this supplement. It apparently contains some soy, as users with soy allergy have reported allergy reactions upon the consumption of this supplement. Between these two supplements, Hairfluence is more recommended. This supplement is more powerful and potent, as it comes with a higher amount of biotin. Also, it does not contain an ingredient that may trigger allergy reactions. It is gluten free and soy free. The capsules are pretty large, but you can open them and mix the powder with water if you can’t swallow them. Chi Keratin Mist Review: No More Hair Loss!